Copyright © The RAS Solution 2018. All rights reserved. Two previous blog posts have addressed terrain modification in HEC-RAS (the December 2014 article entitled Including Channel Bathymetry into your Terrain and the June 2015 article entitled Lifting Terrain in HEC-RAS 5.0). These have been some of the most popular posts to date, each having generated almost 10,000 views over the years! Interchangeably referred to as terrain interpolation, terrain lifting, terrain modification, or terrain manipulation, it is simply an export option in RAS Mapper that can be applied using any 1D geometry in your model. 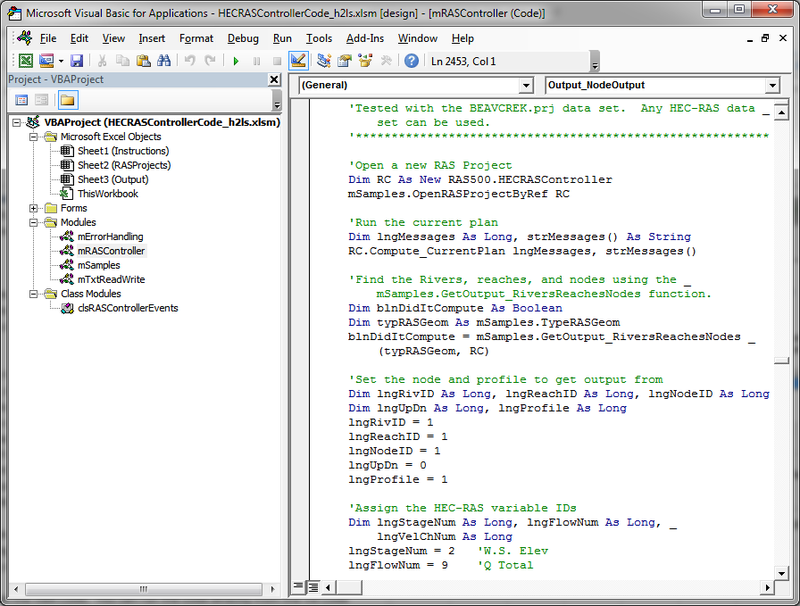 We do still get a lot of questions about how to apply the technique to incorporate various structures, especially concerning the application of new features available in RAS Mapper. Can you use the terrain modification process, for example, to construct the following? Rather than creating features, one of the most common uses of terrain modification is to remove features (such as a dam, levee, roadway, or bridge deck) from the terrain associated with a 2D model. This allows the feature to be modeled as a 1D element within a 2D flow area. A dam or levee in a 2D model, for example, cannot be breached unless the erodible or temporary portion of the terrain has first been removed. Another common use of the terrain modification process is to lower the digital elevation model around a culvert. Because LiDAR data typically misses the actual invert elevation at a culvert inlet or outlet location (due to debris, vegetation, sedimentation, or inadequate resolution), and because HEC-RAS cannot accommodate the negative depths that would result from a below-ground culvert invert in a 2D Flow Area, the terrain around the inlet and outlet must typically be lowered before the plan will run. This can be done outside of HEC-RAS using GIS or 3D civil design software, or we can do it directly in HEC-RAS by exporting a geotif using a 1D geometry. Select one of the cross section and choose "Edit Cross Section"
Open RAS Mapper, right-click on geometry name and select "Export | Create terrain geotif from XS's (channel only)"
Right-click on terrains and select "Create New RAS Terrain"
Rename hdf file with a descriptive name using the folder icon and select "Create"
With those steps complete, you can compare the results with and without the changes. If you are working on an impact assessment, for example, you can then make further adjustments to your mitigating features (such as the size of a detention basin) to compensate for the impacts of development as required. In the steps above, we could have exported a geotif for the entire cross section extent (in which case you wouldn't need to create bank lines) but my preference is to use the "channel only" option with bank lines as it gives you more control over what portion of the terrain will get adjusted between cross sections. Also keep in mind that the 1D terrain modification geometry can be a complete, "runnable" 1D geometry, or it can exist solely for refinement of the digital elevation model (as highlighted below, it can essentially be an orphan file that is not associated with any flow or plan files). On to our next topic of the day: Continuing improvements to hardware, software, and meteorological data availability are allowing the increased application of direct precipitation or rain-on-grid modeling around the world, blurring the lines between hydrological and hydraulic software applications. If you try to combine terrain modification with direct rainfall, there are some further considerations to be aware of. If you have used terrain modification to incorporate a building or bridge face with vertical walls, for instance, the rain falling on the flat surface would then need to flow over a vertical surface to transfer to the ground. This obviously exceeds HEC-RAS slope thresholds, and the velocities associated with a vertical drop will be erroneous. The presence of vertical faces in rain-on-grid models can give substantial errors, so it may not be suitable for these settings. (You could alternatively represent the buildings as polygons with really, really high roughness values). That said, direct precipitation modeling is becoming increasingly common, and with proper calibration, the catchment response can be modeled in much more detail than in a typical rainfall-runoff model. So what are the latest rain-on-grid developments in HEC-RAS? * Where the industry is heading with the use of hydraulic models as rainfall-runoff models, including the application of radar-based gridded rainfall data. Thanks for tuning in and be sure to let us know how you're using HEC-RAS and if there are suggestions for future blog topics! Initially, it was a little confusing to me in that the precipitation table included an ordinate at t=0. Incremental data is supposed to refer to a depth of rain occurring over a time period, it is not an instantaneous number and should not have a t=0 ordinate. After some experimenting with rain-on-grid, it appears to work correctly if 0 is placed in the t=0 ordinate, with incremental rainfall data being added after. Otherwise it appears that if data is entered as shown in the video above, the depth of rain that falls over the first time step is ignored, and the duration of rainfall is shortened by that first time step. 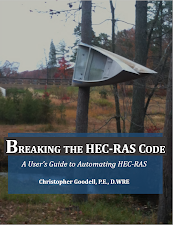 I'm glad to hear the release of HEC-RAS5.05. Actually I'm a Chinese. Please ignore some grammar fault. This may be a little off topic, but I noticed in this article you mention that HEC-RAS "cannot accommodate the negative depths that would result from a below-ground culvert invert..."
I am working on a bridge scour project involving multiple bridge structures situated along tidal waterways. Because of this, the channel inverts along the entirety of the subject reaches are negative values (-6.94 ft at the lowest point). I have the model setup under an unsteady flow regime with the tidal stage as the downstream boundary condition, and design storm hydrographs as the upstream condition. The model keeps going unsteady, which I've been troubleshooting. Just wondering if the negative values could be contributing or causing these instabilities. My initial flow condition is also setup negative stage (-3 ft) and a low flow (40 cfs). I appreciate any guidance/insight. Negative stages are fine and should not be causing the instabilities you are working through. The article was talking about negative depths (i.e. elevation below the terrain elevation). Okay, thanks for the clarification Chris.